This item has been discontinued by the manufacturer and replaced by part 132. You will need to order part 132 from us. I can only give it a 3 star because this the 3rd wheel motor on the unit. The first lasted over 12 years. The second only lasted about 2 years. I hope the current one lasts. Very costly as well. 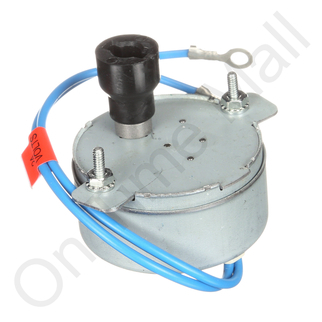 The wheel motor arrived promptly; it was exactly what was needed to put the humidifier back into service. Thank you for your prompt and exceptional service. This is the second "Wheel Motor" I have purchased for my humidifier. The first replacement failed after five seasons. I noted that the first replacement was manufactured off-shore and that it did not carry the Auto-Flo name. This recent motor has the Auto-Flo name, so hopefully it will operate longer. The motors are small yet do indeed operate almost non-stop during the heating season so they obviously are asked to do a lot of work. worked perfect and arrived quickly.